There’s nothing quite like a bit of tennis at Wimbledon to accompany your long summer nights. With the tournament already underway, we thought it was time to look at a few of the more interesting facts about what makes the grass grand slam tick. From the weird to the wonderful, here are five Wimbledon facts that you really need to know. Without tennis balls, there can’t be a tennis match. 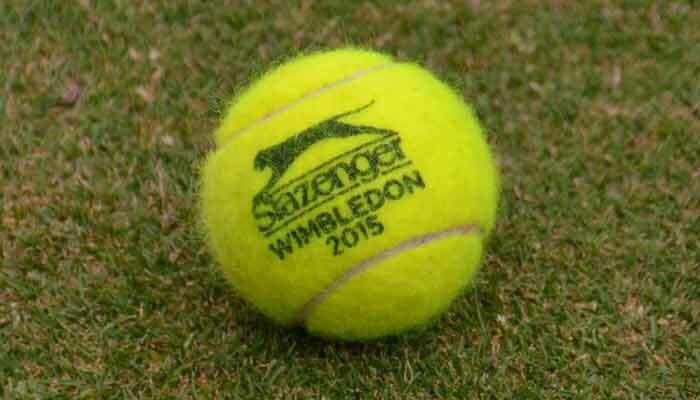 It goes without saying that they’re vitally important to the operation, so much so, that for this year’s Wimbledon there will be over 54,000 tennis balls produced to service the tournament. All of which are kept refrigerated when not in use in order to allow them to keep their shape and firmness. While pineapple isn’t the fruit that’s usually associated with Wimbledon, it’s arguably the most important. If you look at the Wimbledon Men’s trophy, you’ll see a strange pineapple crafted upon its top. The origin of why this tropical fruit adorns the top of the trophy is a bit of a mystery but there are theories that suggest it may harken back to the tradition of British Navy captains putting a pineapple on top of their gateposts after returning from the sea. The trophy itself goes all the way back to 1887, so it’s entirely possible that the origin of the pineapple top may have been lost to time. Amongst the thousands of people who make Wimbledon happen is one unique staff member who makes a living out of chasing pigeons. 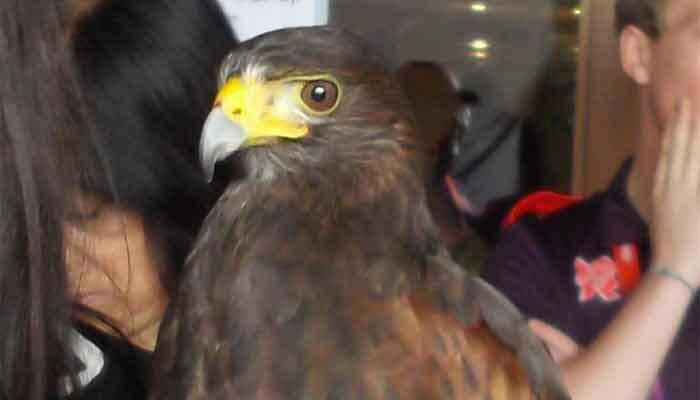 Rufus the hawk is now a mainstay of the Wimbledon team and has patrolled the skies above centre court for fifteen years, becoming a regular and beloved fixture at SW19. 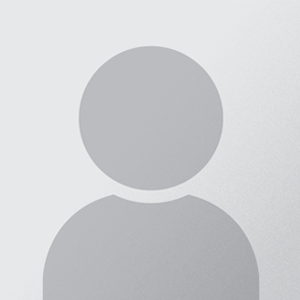 Rufus is so popular he even has his own Twitter page – and it’s quite likely he’s got more followers than you as well. Not bad for a bird. You can’t have Wimbledon without strawberries, it just doesn’t happen. 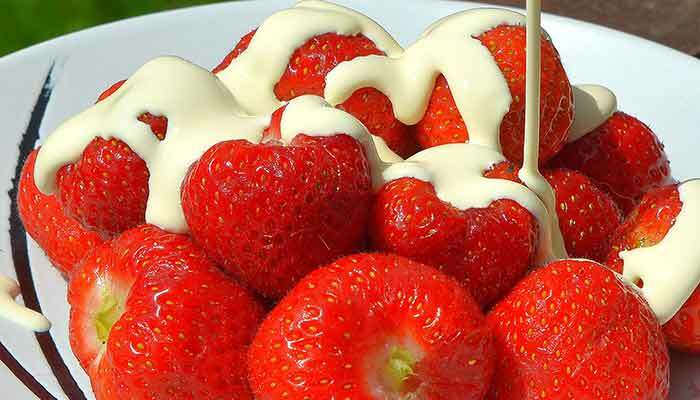 To reinforce that previous statement further, over 23 tonnes of strawberries will be consumed by visitors, topped up by over 7,000 litres of fresh cream over the entire fortnight. 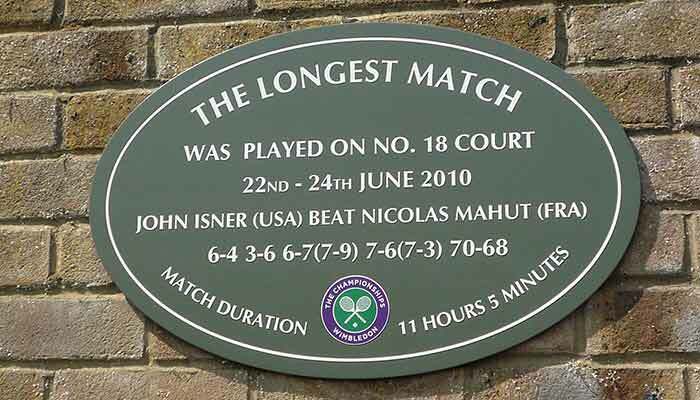 The longest ever match at Wimbledon happened in 2013, when John Isner defeated Nicolas Mahut by 70 games to 68 in the final fifth set. The epic contest lasted 11 hours and 5 minutes, with the final set lasting an incredible 8 hours and 11 minutes. The match took place over several days, starting on Tuesday at 6.13pm and finally finishing on Thursday at 4.47pm with several breaks in play over the three days thanks to light issues. Unsurprisingly, the match is often referred to as ‘the endless match’. The 2018 Wimbledon championships start on July 2nd with the Women’s singles final taking place on Saturday, July 14th and the Men’s single tournament concludes on Sunday, July 15th.